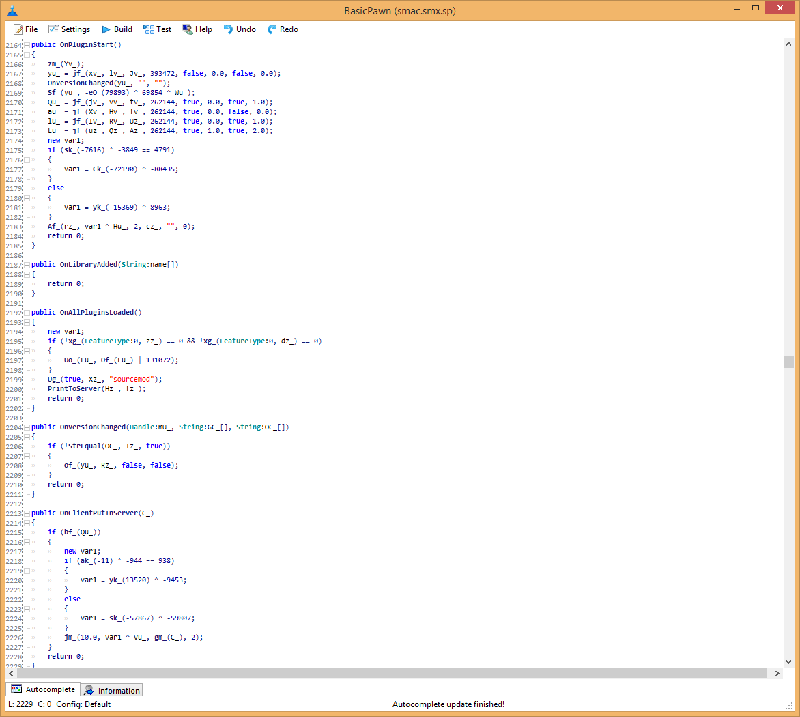 This place is where i, Externet, publish my created programs. 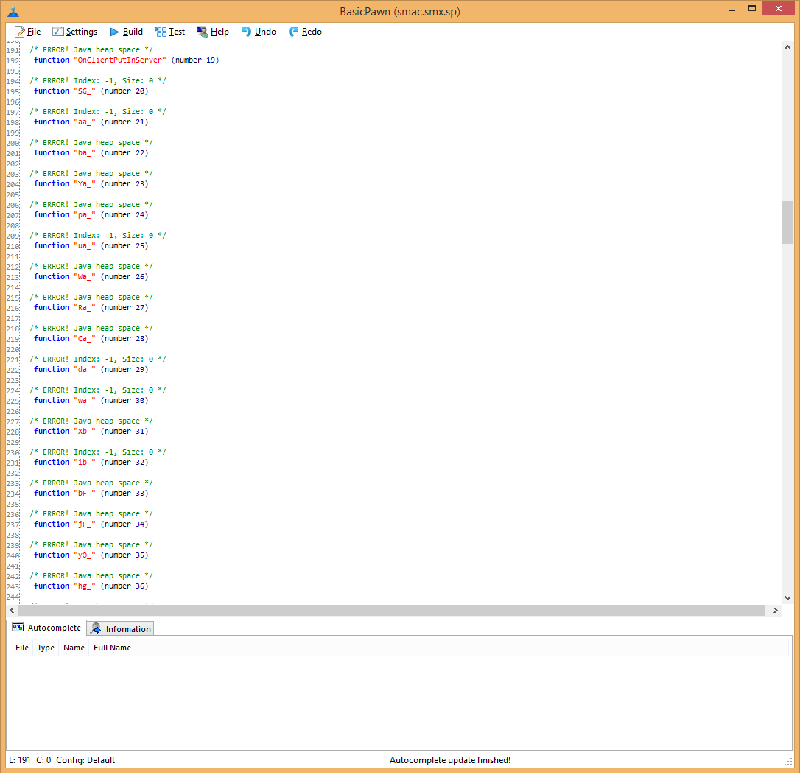 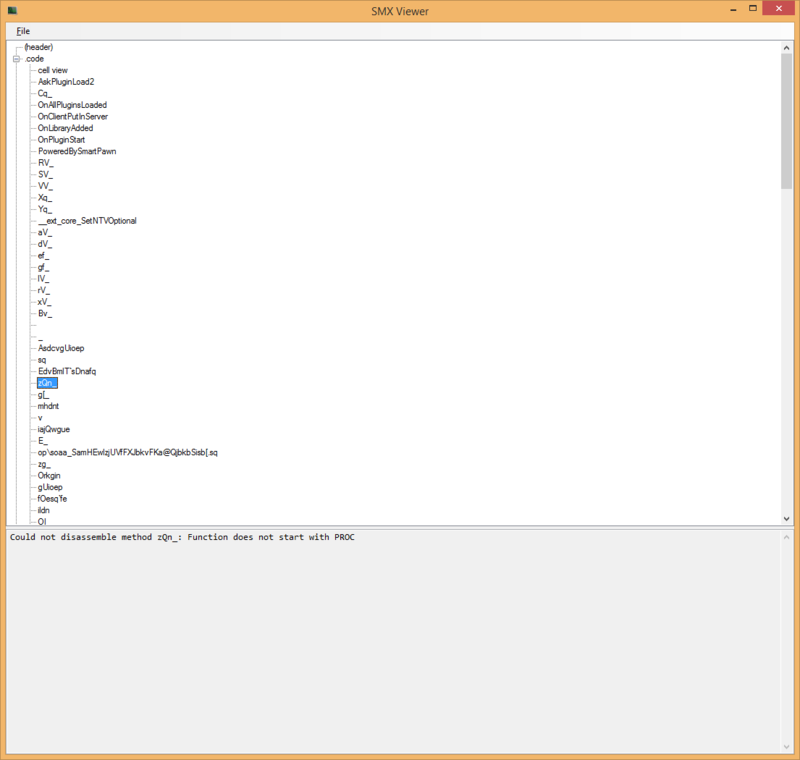 All programs you see here on this site are free and require .NET Framework 3.5 to run! You can find me on YouTube, Steam and Deviantart too. 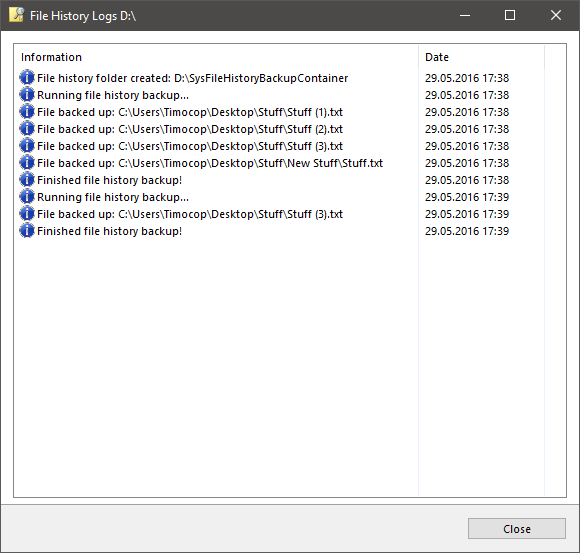 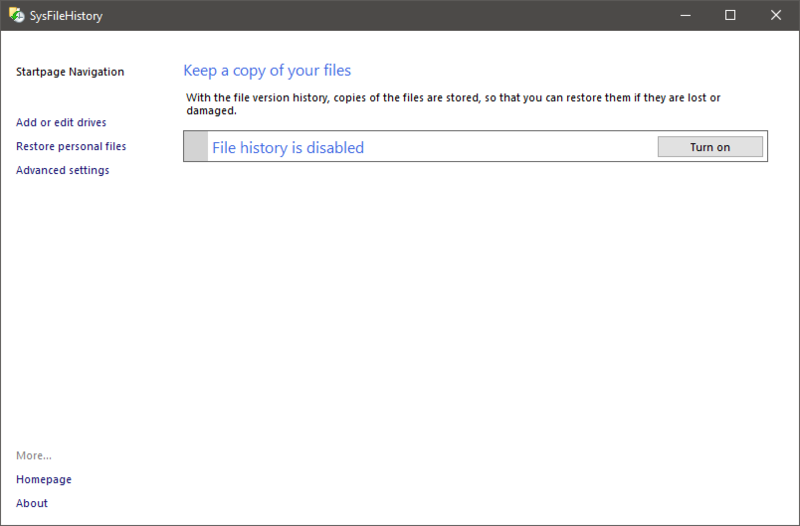 SysFileHistory is a Windows File History portable remake with a little more features. 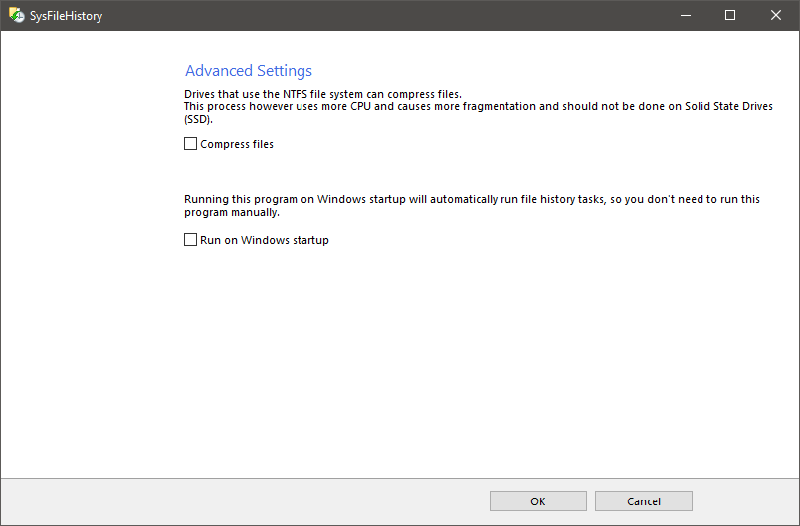 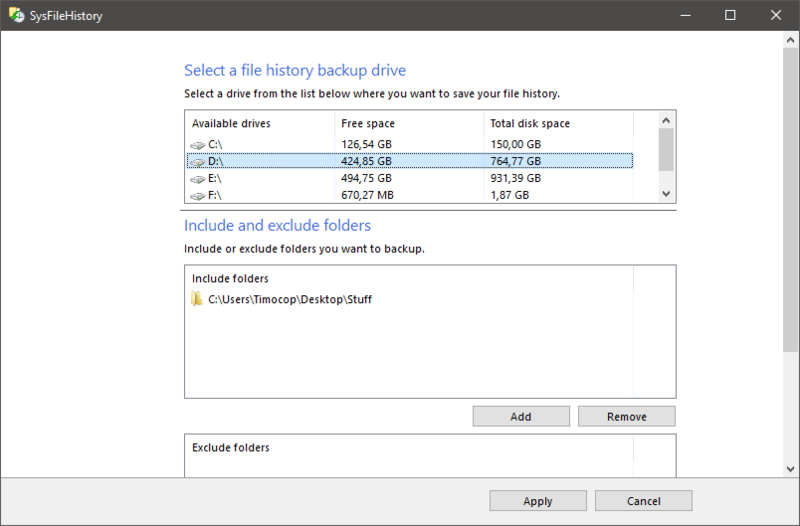 Like the Windows File History, it creates automatically incremental backups of your files. 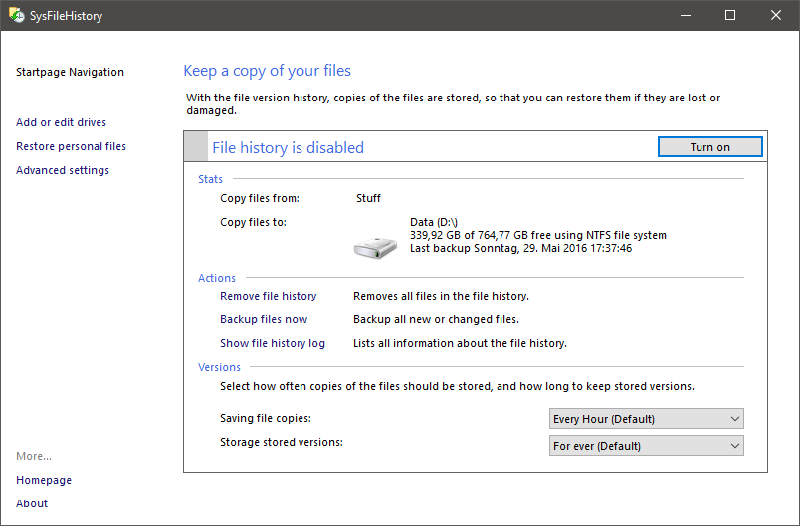 In SysFileHistory you can add more backup drives and use NTFS filesystem compressions technology (Only available on drives with NTFS). 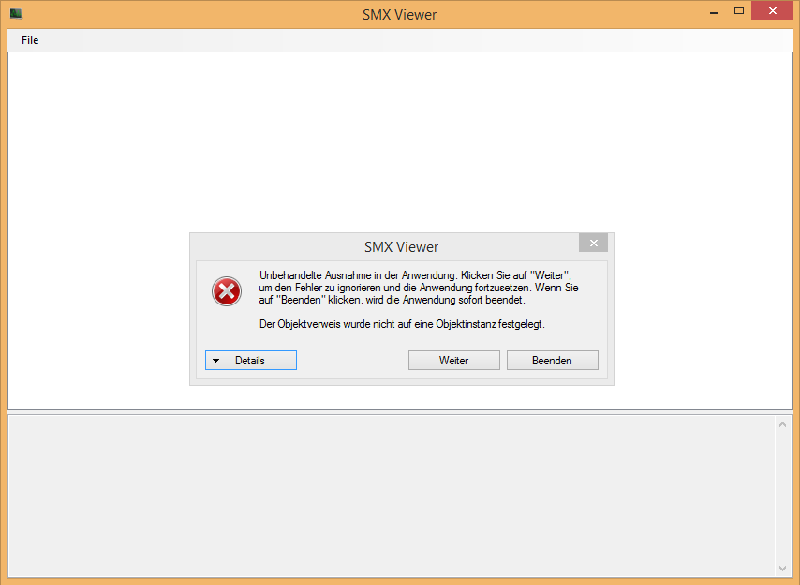 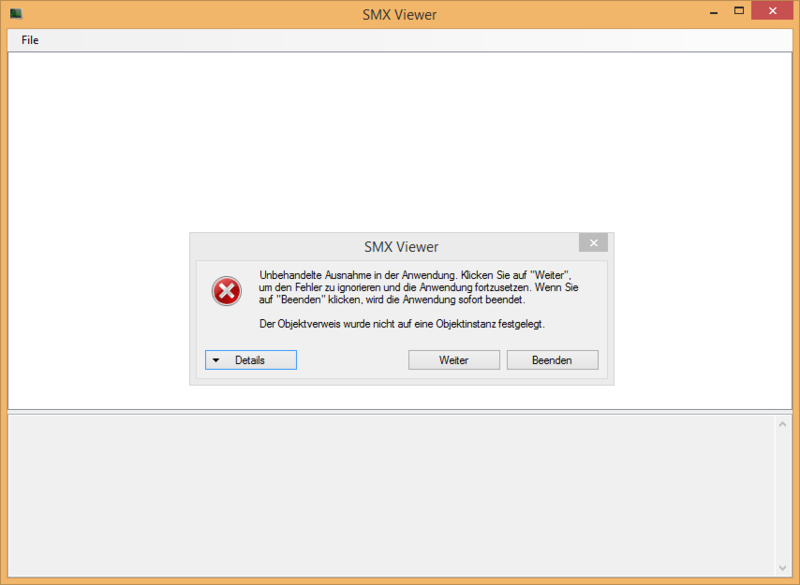 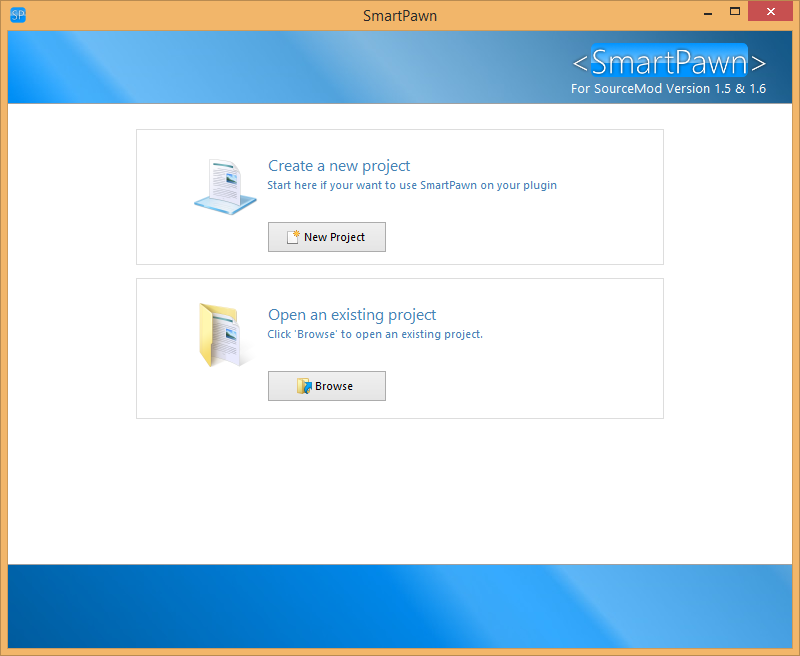 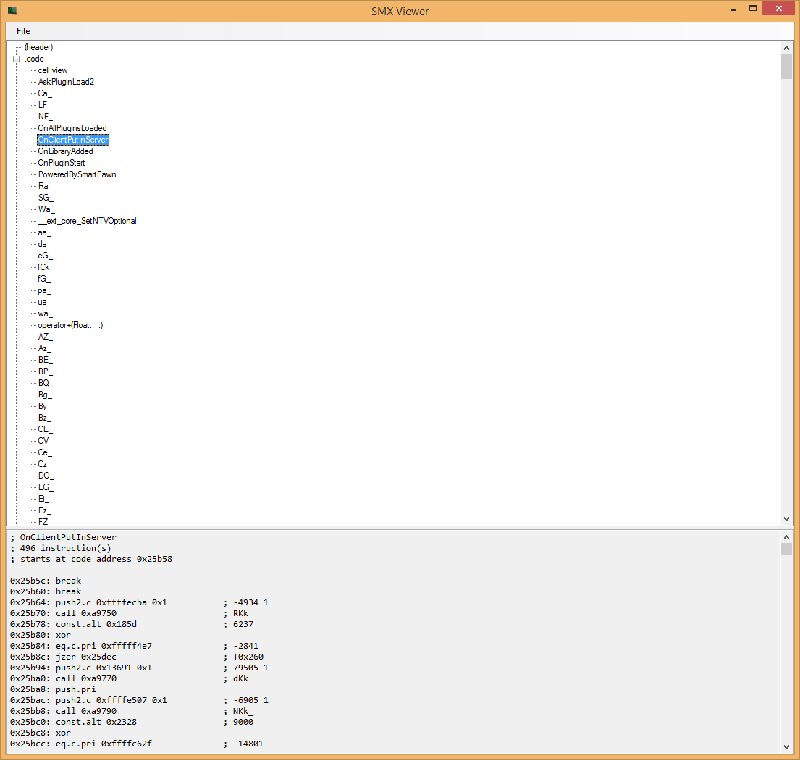 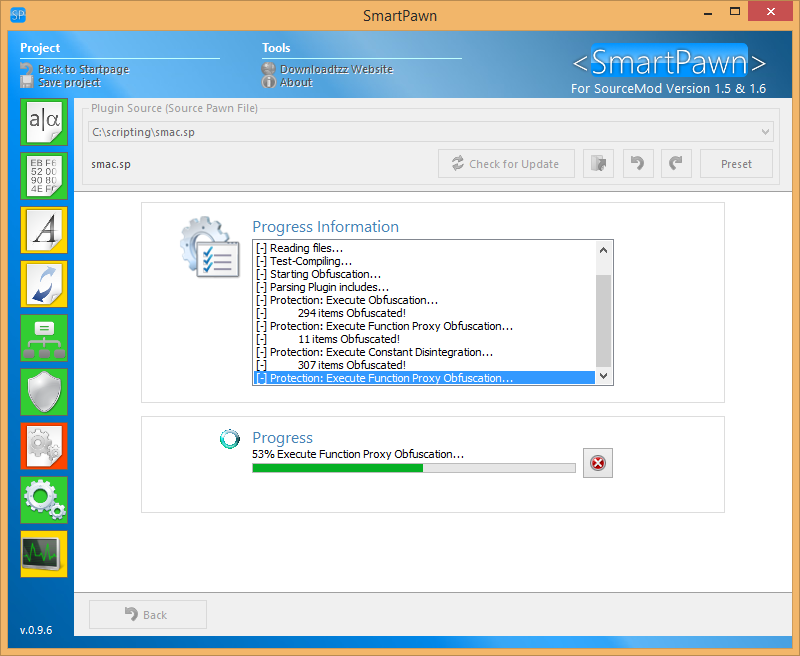 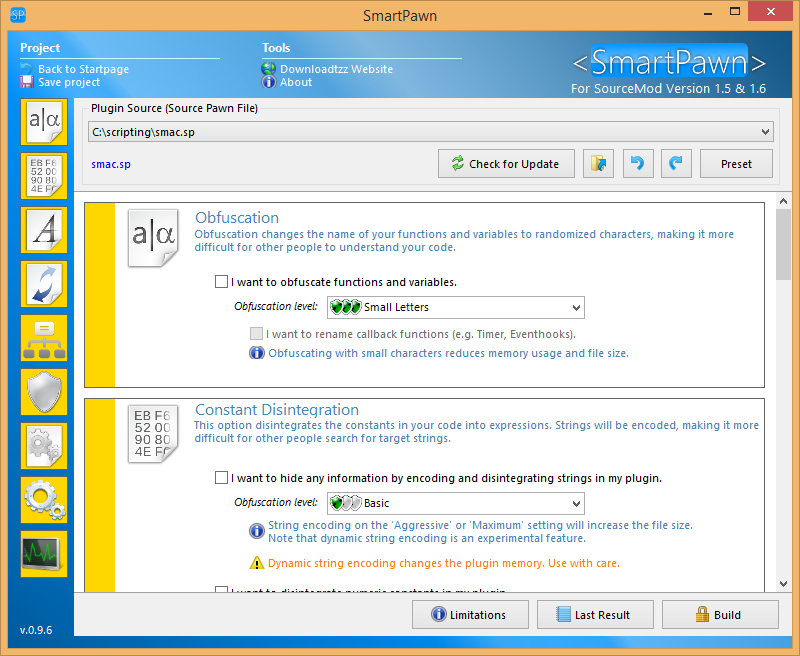 SmartPawn is a basic Obfuscator for SourceMod 1.5 and 1.6. 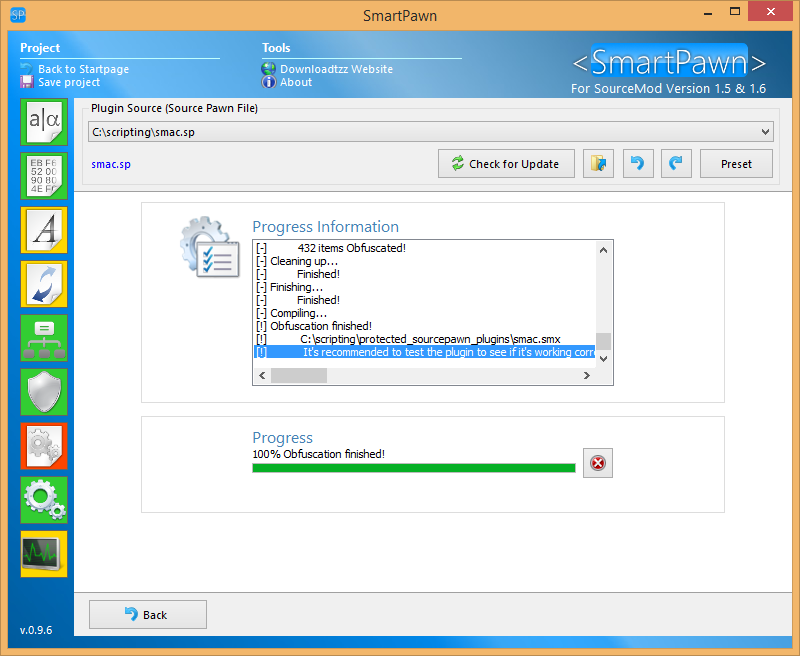 Required: SourceMod 1.6.4 and below include files and SourcePawn non Transitional Syntax. 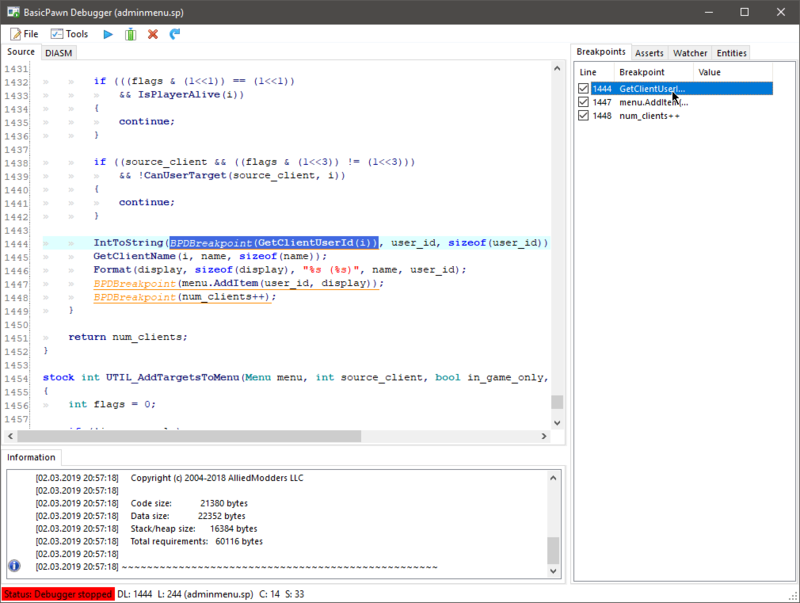 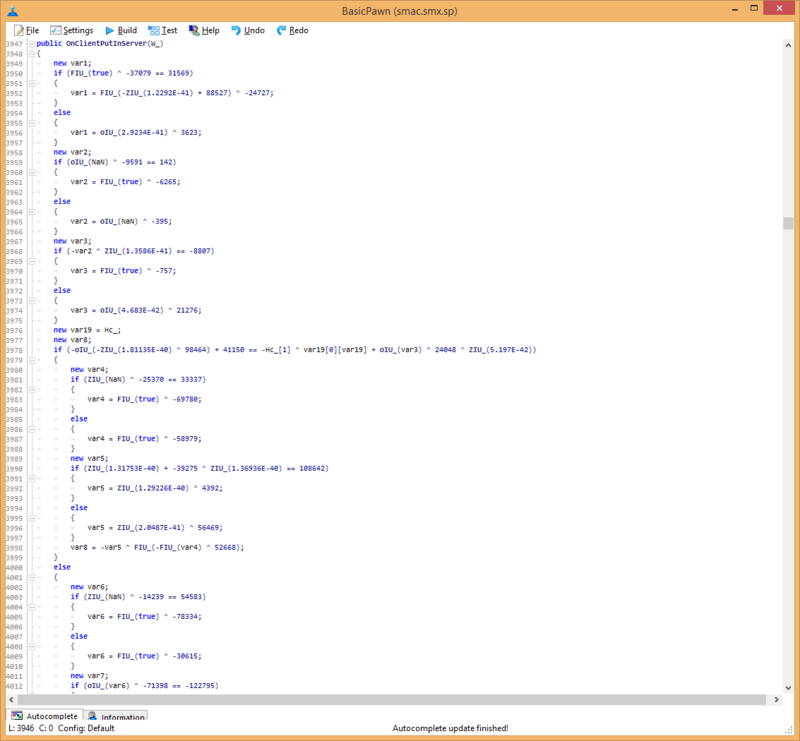 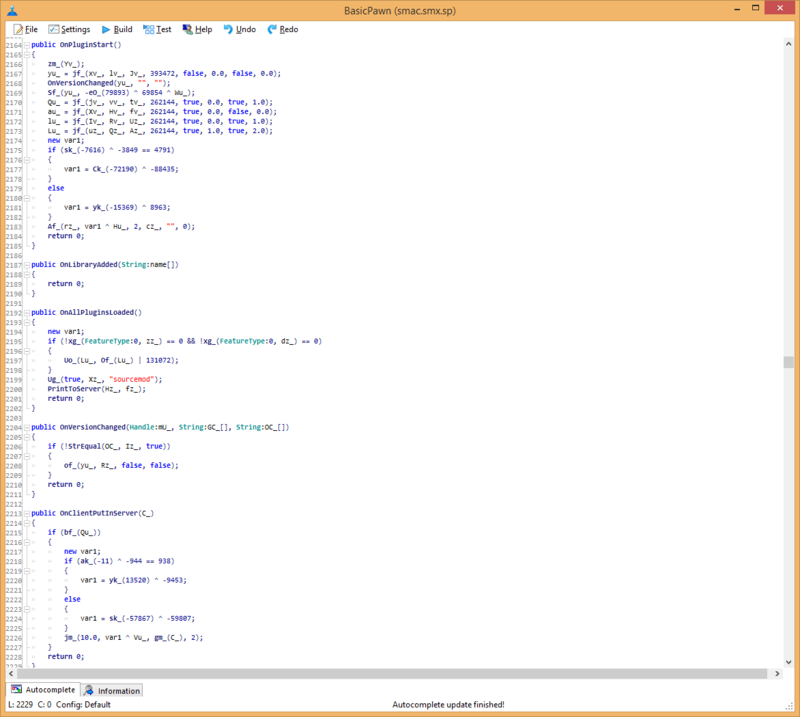 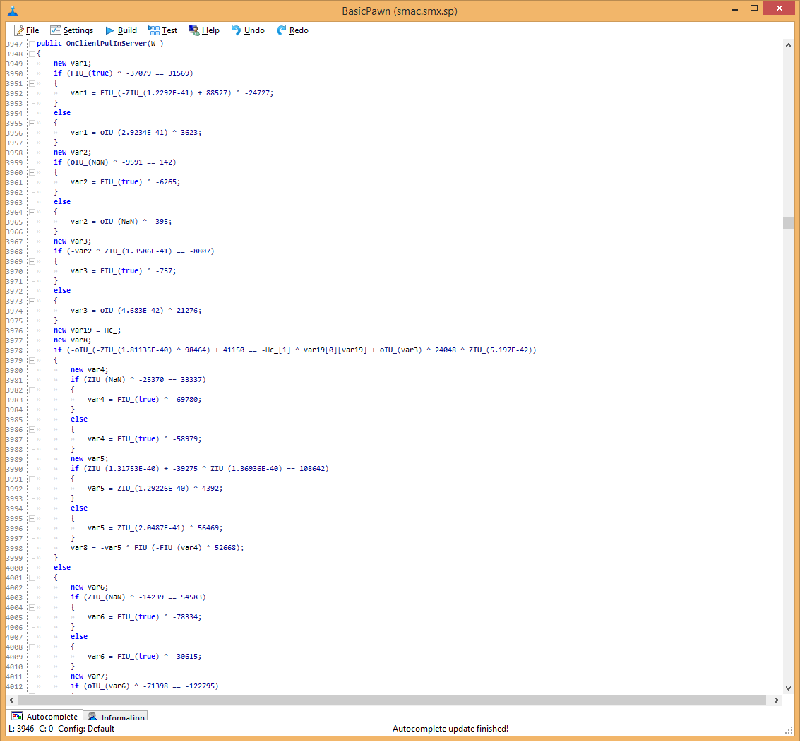 The Modified SourcePawn Compiler (Modified SourcePawn Compiler 1.6.3) source can be found here which is a slightly modified version of the orginal SourcePawn Compiler. 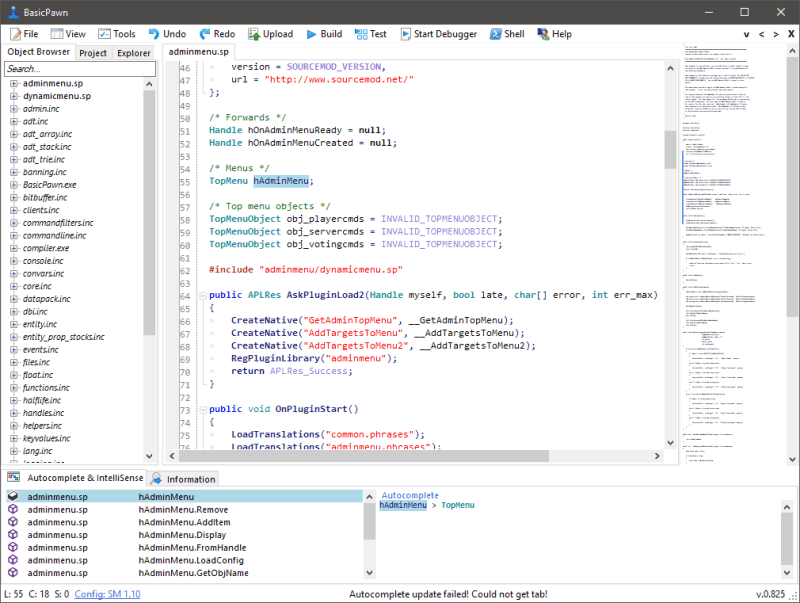 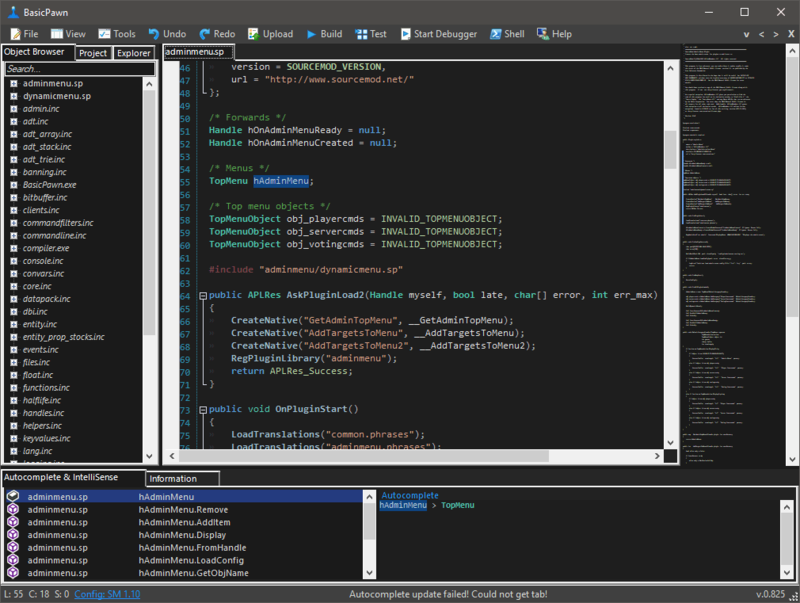 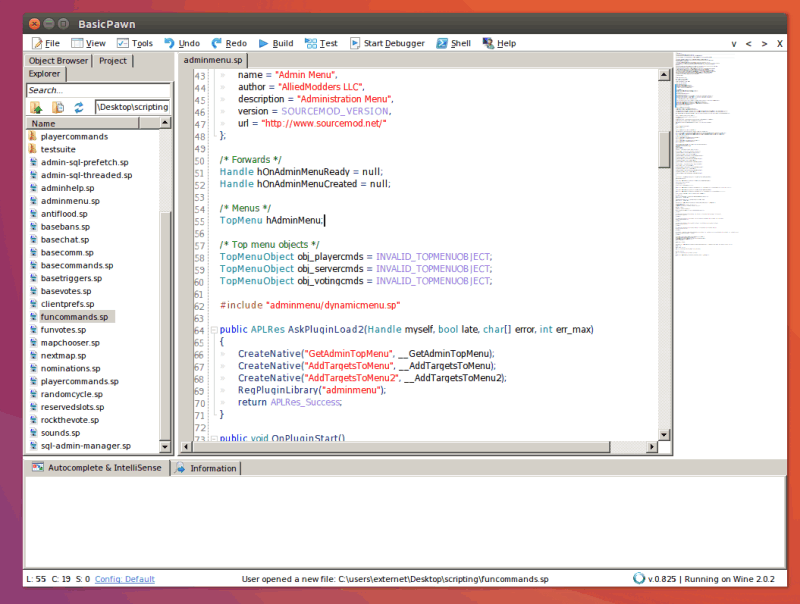 BasicPawn is a very lightweight and basic SourcePawn Editor that uses dynamic Autocompletion and IntelliSense like any other IDE or Advanced Editor. 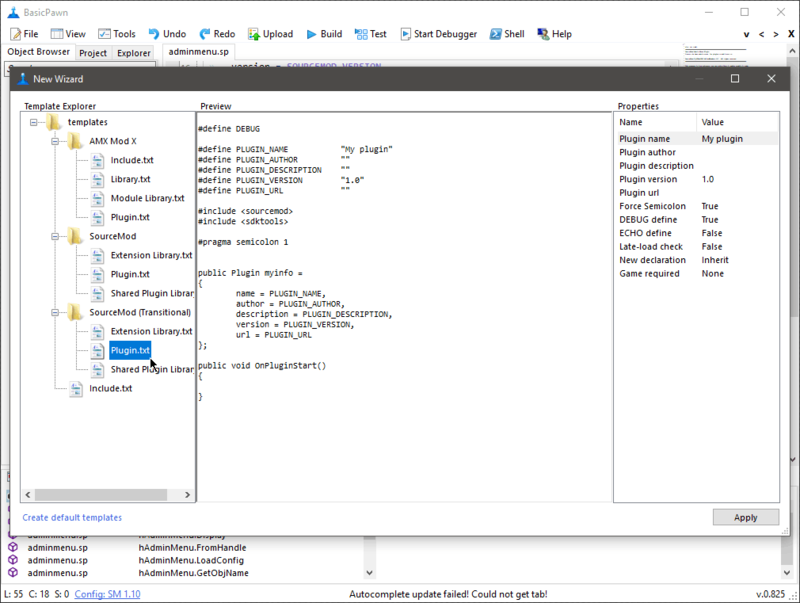 It supports SourcePawn, Transitional SourcePawn and even AMX Mod X. BasicPawn also has some special features like the simple debugger to debug your plugins and the plugin system to create your own BasicPawn plugins. 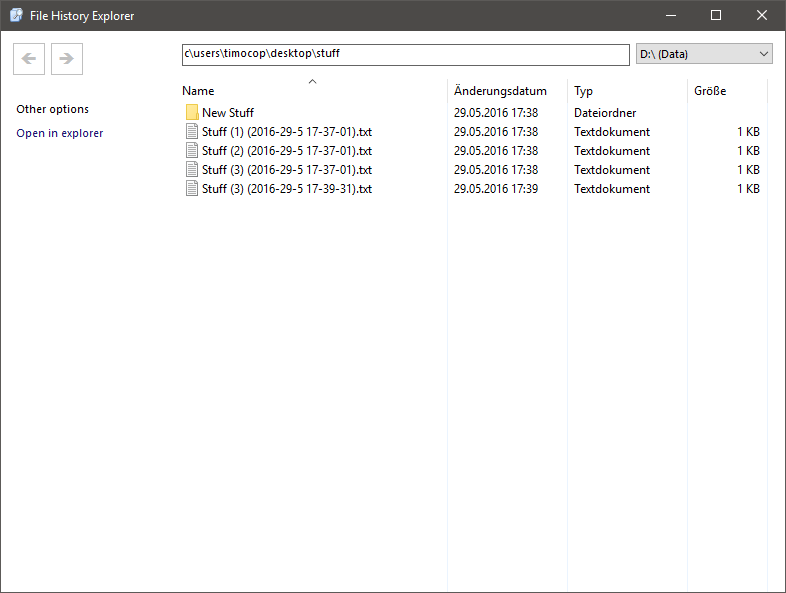 Control your Windows Media Player (or other Media Player) from your System-tray like in Windows XP and Windows Vista.